Register Log In Catsailor.com Forums Forums F16 Forum What happened to Wouter Hijink? does anyone one know? his digital footprint seems to stop a few years ago? I haven't heard anything from him in a few years...? I think he moved on to work on windmills and other objectives after seeing the F16 project up and walking. His last tweet was on 18 Feb 2013. Maybe he is no longer with us mortals. I both kitesurf and sail at his home club but have not seen him there for a while either, last time was probably sometime last year. Speaking of missing F16 persons-what happened to the guy from Auz? I think his name was Gary Maskiel. He would sail solo and initiate his gybes from the wire. His control of the boat solo was impressive. Gary moved into Mosquitos and sailed there until recently. Now I believe he is without cats. Whatever happened to that Norwegian guy who was building his own boat? Did he ever complete it? Still building? So many questions and so little time. Now doing the foils. Hulls complete. Also sailing an Infusion. Gary is very active in the forum next to this one (mosquito). I think he is the current national champ and has just bought a new boat. Wouter can be found on "Linkedin"
And if anyone (Apart from Tim Bohan) remembers me, I have returned to my very first cat, a Catapult. I went from a Catapult to a Dart 18, Dart Hawk, Spitfire, Shadow X and now, in my old age , back to a Catapult. "The Circle of Life" it seems! Did you get out on your cruising cat much last summer? How's the boys at Blesso? I fly right over it once in a while, on the way to Dubai. Sometimes it's even clear enough to make out the lake. We had to divert into Athens last week for a medical emergency. If the guy had only had his stroke a few hours earlier I would have gone into Dublin and paid you a visit! I hope all is well with you and yours. 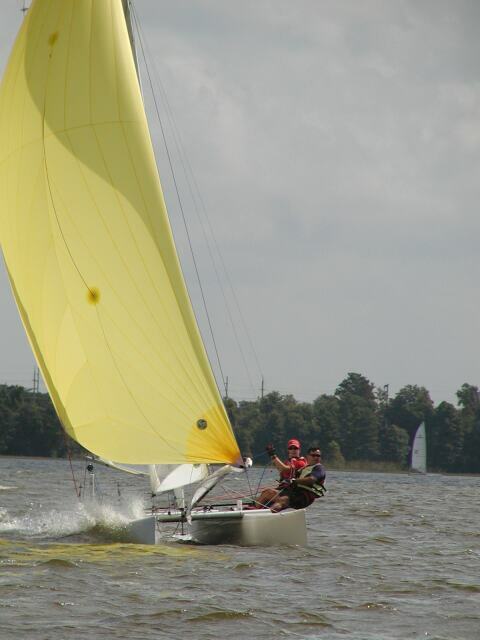 Our season is just starting down here, I was out sailing the Prindle 18 with my dog just a couple days ago, but then it got cold the past two days. It's supposed to warm back up by Saturday. Take care and I hope the weather is good to you this winter, 50% of the USA is under snow right now! Luckily I'm in the other 50%. My daughter is expecting to enroll in Griffith College for postgraduate degree in January. Any guidance would be greatly appreciated. Sorry for delay in answering - I don't regularly check the forum these days. Griffith College is one of the smaller colleges in Ireland, but it has a good reputation. You may hear of some of the small language and business colleges in Ireland closing down in recent years and students losing money. Griffith seems to be very sound and there have not been any problems. They are based in Dublin Cork and Limerick. There should be a good social life in each of those cities. I know that student rent is expensive in Dublin - I'm not sure about the other 2. My 2 sons are well past that stage, so I do not have any real experience in that field. If you have any specific questions, don't hesitate to ask. I live in Dublin. 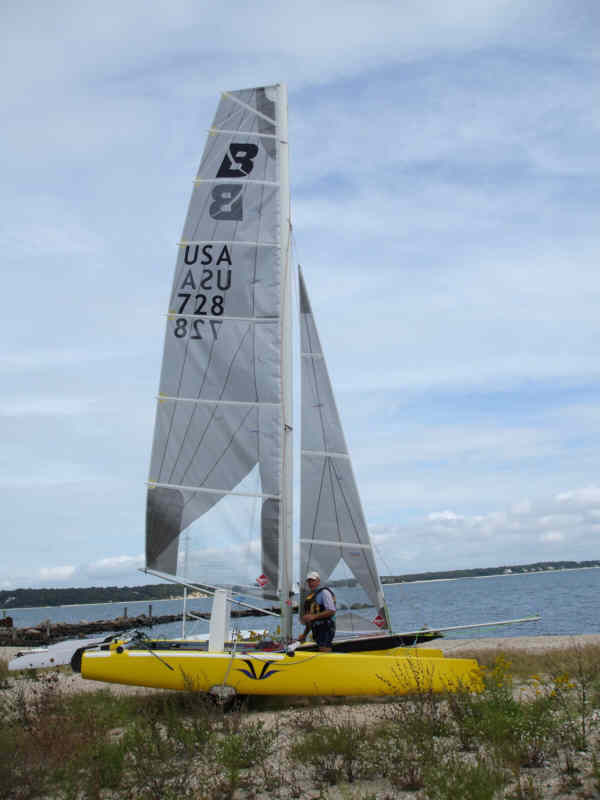 I retired September 2013, so I did spend a lot of time on the cat over the summer - still working on it, but I got in a good bit of sailing as well. The weather was exceptionally mild this Autumn. We had many days in tea shirts right to the end of October. I would be interested in this "retirement" concept and how it applies in Ireland... Is there some sort of social pension, or are you on your own in terms of funding your expenses while not working? Jay, Some factors have changed recently, but basically, at age 66, if one has worked, paid tax and gathered a certain number of "Stamps" over their working life, there is a State Pension of up to Euro 230 per week. Individuals can also pay into a personal pension fund, and get some tax allowances. I have the state pension and a small personal private one. There are some allowances for older people - electricity, heating fuel, medical card etc. Last edited by Dermot; 12/01/14 02:03 PM. sounds rather reasonable, similar to the Social Security system in US? How does one collect these "stamps"? I suppose that I am showing my age by using the old term "Stamps", they are now called credits, or would be refereed to as PRSI Credits. You pay Pay Related Social Insurance contributions when you work and get credits towards your pension. 0 registered members (), 26 guests, and 50 spiders.